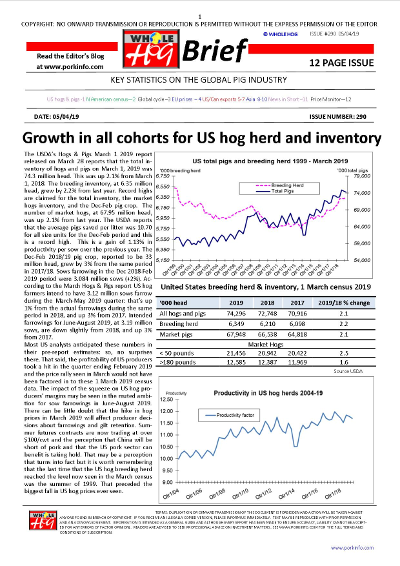 Short reports on VION, Russia, Rosselkhoznadzor and China, Reuters and US exports to China, ASF and hog prices in the North region of China, Anhui, Shandong, Hebei, Shanxi, and Henan. 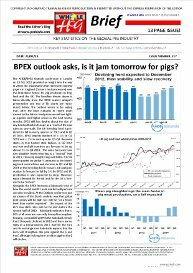 On the back page there is the price monitor for 18 countries and the chart of the week – EU pig slaughter data 2016-18, and the short view of pig prices in the USA, EU and China in the next four weeks. 37 charts and tables in this issue!